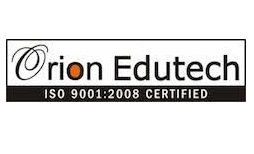 Orion Edutech is India’s leading BPO training institute, having trained more than 30,000 students to date. It is the only organized player that provides much-needed employment enhancing training for job aspirants hailing from semi-urban markets with non-English speaking backgrounds. The company’s key strength is its ability to place all successful students through tie-ups with over 150 BPO companies and a 100% placement track record so far. Further, Orion’s continued focus on providing high quality (workshop-based) training addressing the industry’s requirements, by using a scalable business model (franchise-model) puts it in a very strong position. It is also well placed to leverage its reach and experience in the BPO training space to become a significant player going forward in the larger vocational training space. Ventureast invested in Orion through the Proactive Fund in July 2010. Since the investment, Ventureast has helped the company fine-tune its systems and processes for better operational efficiency, with the support of top industry experts.